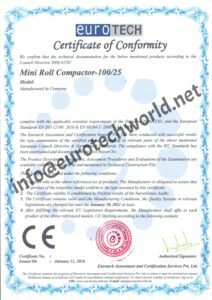 The applicable standard for getting CE Certificate for Mini Roll Compactor is BS EN 60204-1:2006+A1:2009. 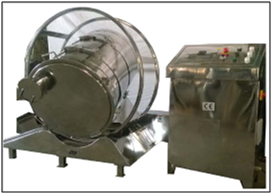 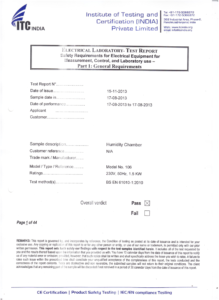 After successful testing and compilation of test report, CE Certificate for Powder Filling Machine is issued. After successful testing and compilation of test report, CE Certificate for Mini Roll Compactor is issued. 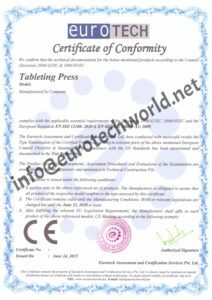 The applicable standard for getting CE Certificate for Control Panel For Tablet Press is BS EN 60204-1:2006+A1:2009. 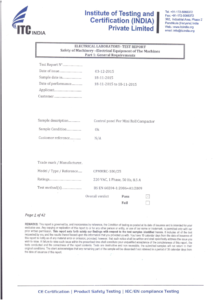 After successful testing and compilation of test report, CE Certificate for Control Panel For Tablet Press is issued. 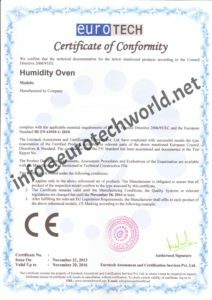 The applicable standard for getting CE Certificate for Control Panel For Airjet Cleaning Machine is BS EN 60204-1:2006+A1:2009. 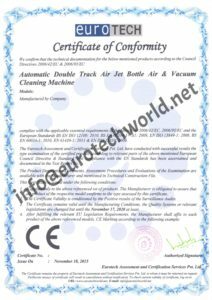 After successful testing and compilation of test report, CE Certificate for Control Panel For Airjet Cleaning Machine is issued. 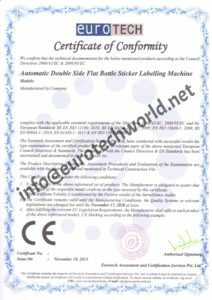 The applicable standard for getting CE Certificate for Control Panel For Labeling Machine is BS EN 60204-1:2006+A1:2009. 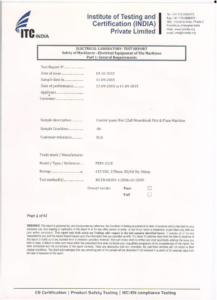 BS EN 60204-1:2006+A1:2009 is an application standard but does not intend to limit or inhibit technological advancement. 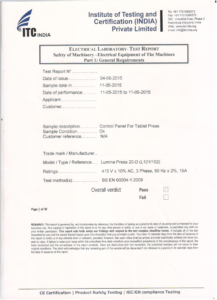 BS EN 60204-1:2006+A1:2009 does not cover all the requirements which are needed/required by the other standards or regulations in order to protect people from hazards excluding electrical hazards. 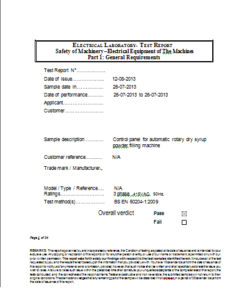 After successful testing and compilation of test report, CE Certificate for Control Panel For Labeling Machine is issued. 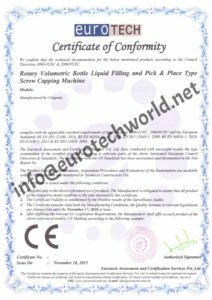 The applicable standard for getting CE Certificate for Control Panel For Liquid Filling Machine is BS EN 60204-1:2006+A1:2009. BS EN 60204-1:2006 gives guidance on safety and recommendations on electrical equipment for machinery. 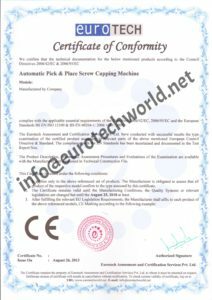 It gives specific instructions for safe maintenance of the point where electrical and electronic equipment comes in contact with the machine. 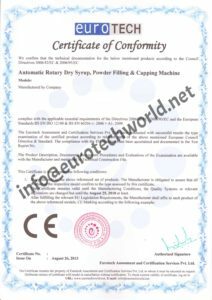 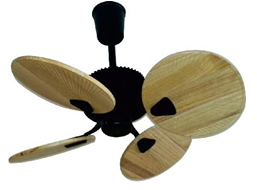 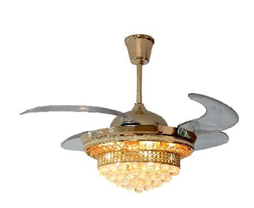 These instructions are only for the machinery that operates with nominal supply voltages that is below 1,000V for alternating current or 1,500V for direct current, or with nominal supply frequencies below 200Hz. 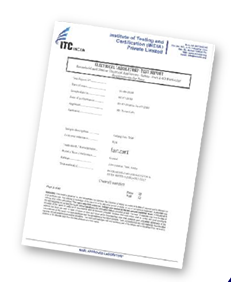 After successful testing and compilation of test report, CE Certificate for Control Panel For Liquid Filling Machine is issued.